Netcat is the tool that allows the traffic to move from one pc/machine to another machine . Netcat is written by Hobbit in 1996 . Netcat supports sending and recieving both the TCP and UDP traffic . Netcat is also known as : THE SWISS ARMY KNIFE . 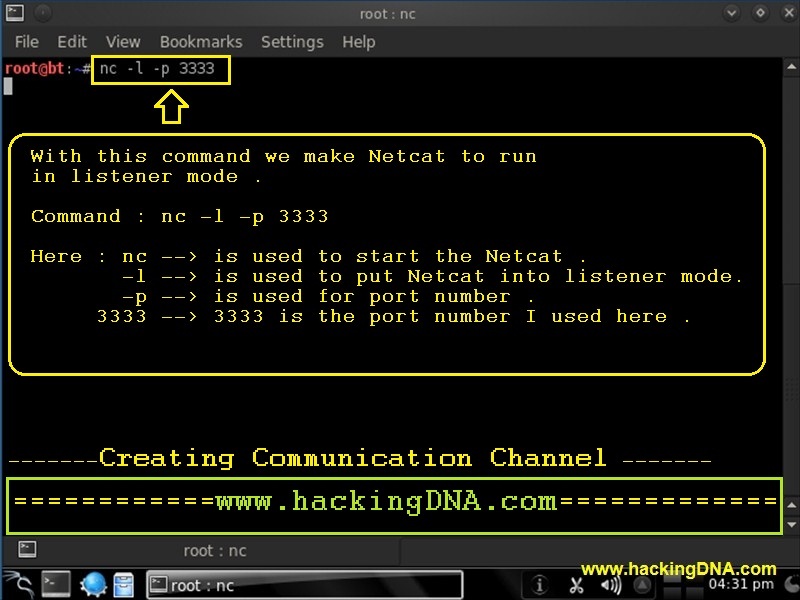 We can use Netcat as a instant chat session, transfer file between machines . 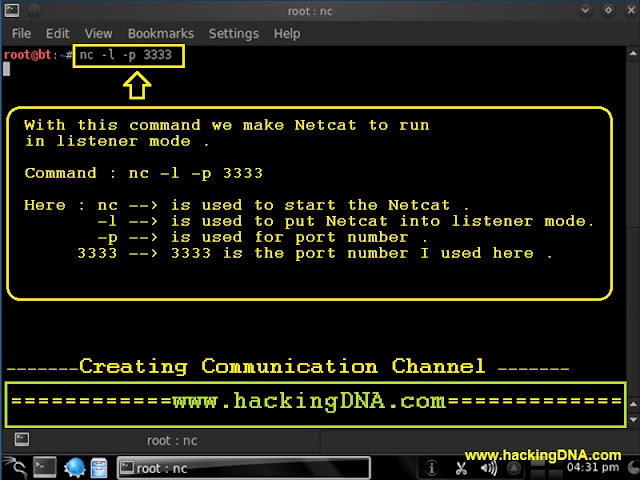 In this article I only cover how to use netcat as a instant chat session . Open new terminal on Second Machine . 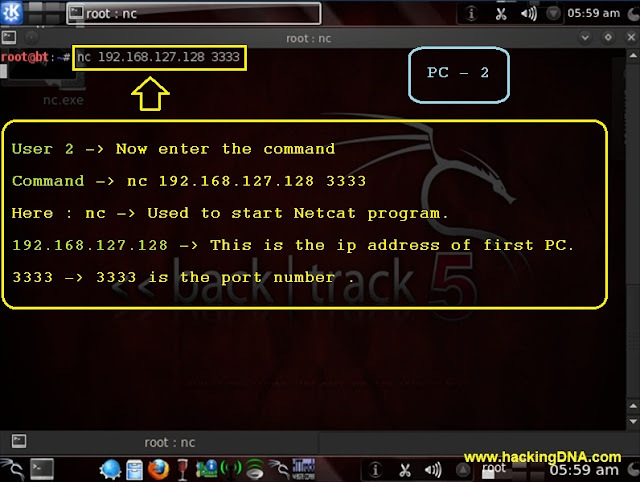 When you enter this command , it force the netcat to create a connection to port 3333 on the machine with ip address of 192.168.127.128. The first PC / machine is in listener mode and when you enter this command , now you can able to communicate with each other . See the image below for more details . COMMINCATION IS CREATED SUCCESSFULLY ! 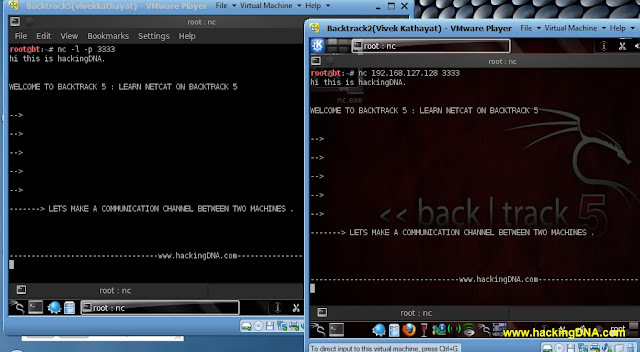 Here you can see when i enter hi this is hackingDNA in PC-1 , same message is shown on PC-2 . 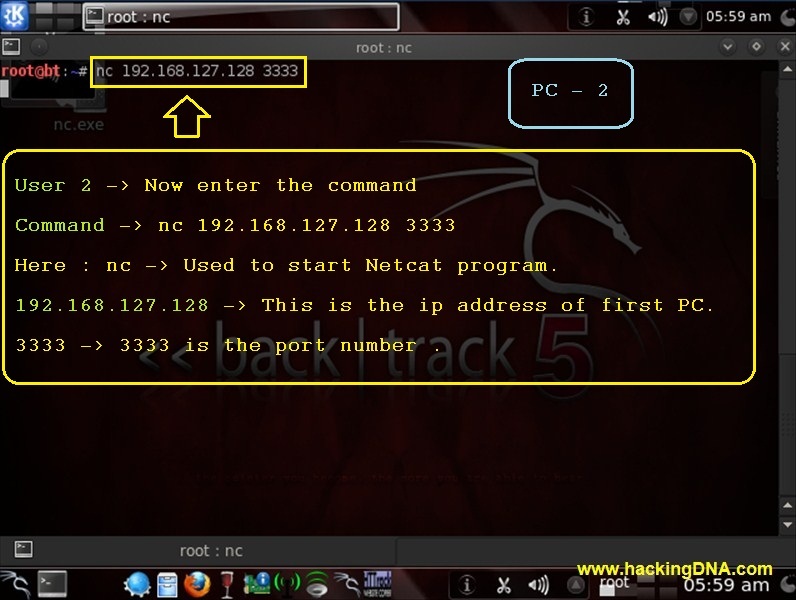 SWISS ARMY KNIFE TOOL : NETCAT . 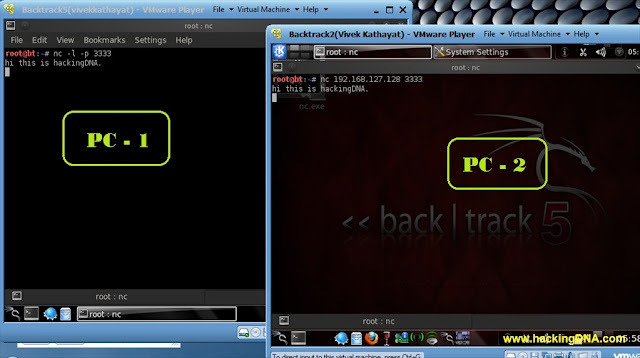 Click here - > http://www.4shared.com/office/4DKnz4rY/NETCAT.html?